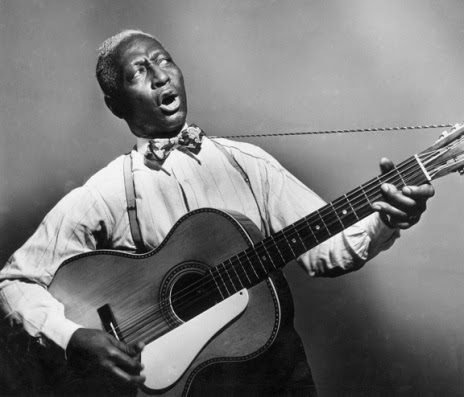 Eventually, Alan Lomax’s defenders and detractors have to deal with Huddie Ledbetter, better known as Lead Belly. Yes, it was Lomax who plucked Ledbetter from the harsh obscurity of the Angola Prison Farm’s chain gang, but Ledbetter ultimately made his name and his career on his own. 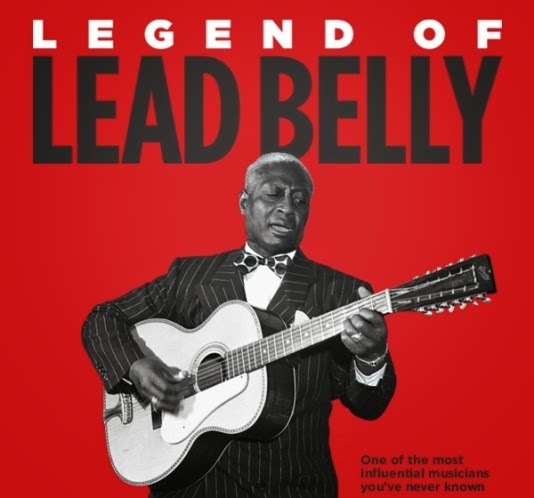 Ledbetter’s almost mythical life and continuing influence are chronicled in Legend of Lead Belly (promo here), which premieres this Monday on the Smithsonian Channel. He was the son of a share-cropper, who picked his share of cotton in his early years. Preferring the more independent but uncertain life of a roving musician, he became a protégé of Blind Lemon Jefferson. Unfortunately, their work took Ledbetter into places where booze and trouble mixed freely, with the latter frequently ensnaring him. Angola was not his first prison stint. Famously, Ledbetter had earlier convinced lame duck Texas governor Pat Neff to pardon him with a song written in his honor. As the expert commentators make clear, Lead Belly was just as much of a song-hunter as Lomax, but he did not merely collect and record them. He always gave them a twist to make them his own. Thanks to his influential recordings and documented performances, tunes like “Midnight Special,” “Goodnight Irene,” “Rock Island Line,” and “House of the Rising Sun” entered into our collective songbook and would become huge hits for various artists in the 1960s. Although just an hour in length, Legend covers the cream of his greatest hits and the major milestones of his iconic life (but sadly they leave out the campaign song he wrote for liberal Republican Wendell Wilkie). We also get a sense of his dedication to his second wife and his graciousness towards the up-and-coming folkies. Perhaps what is most striking are the scenes of his justly proud family today, who have clearly come a long way from his hardscrabble roots. While Ledbetter enjoyed a taste of success, he served as the catalyst for his family’s eventual upward mobility. In gratitude, they keep his name and music alive through the educational Lead Belly Foundation. Written, directed, and produced by Alan Ravenscroft, Legend moves along at a good pace and features some big name talking heads, including Van Morrison, the not-as-out-of-place-as-you-might-think Judy Collins, The Byrds’ Roger McGuinn, and The Doors’ Robby Krieger, as well as several descendants. It is a tasteful sampling of a towering figure of Americana that ought to help sell a few copies of the Smithsonian Folkways’ upcoming five-CD career-surveying box set. There is always a need for more programming about blues artists (or blues, etc. in Lead Belly’s case), so Legend of Lead Belly is quite welcome indeed when it airs this coming Monday (2/23) on Smithsonian Channel.